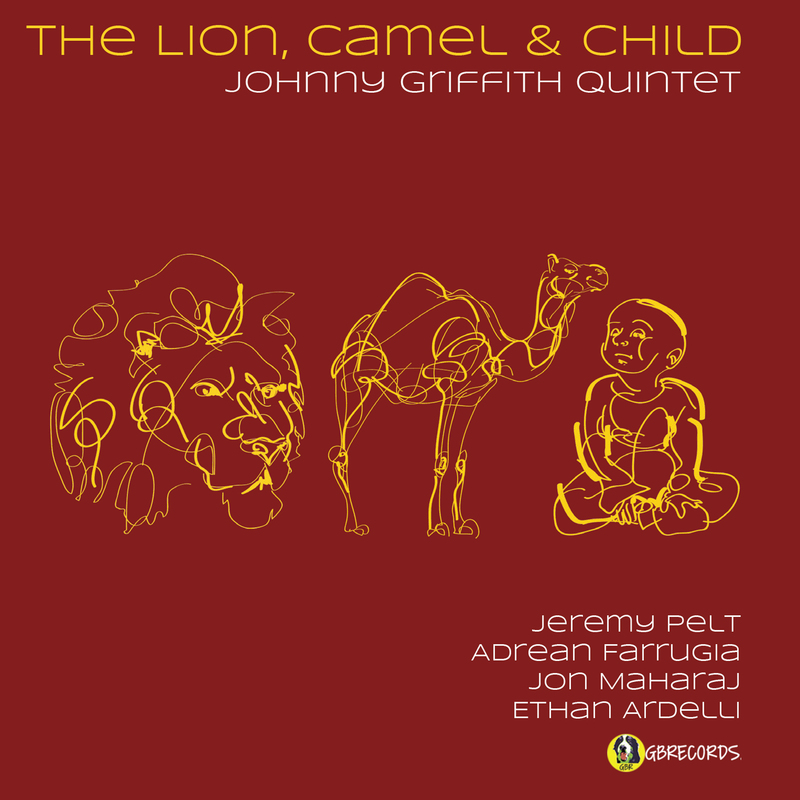 The Lion, Camel & Child is the second release from Toronto saxophonist Johnny Griffith’s all-star quintet – a band made up of of four of Toronto’s leading jazz lights, along with the legendary New York trumpeter Jeremy Pelt. Change has always been a constant in Griffith’s musical life: as one of Toronto’s best known jazz musicians, he’s performed with jazz luminaries like Don Thompson, Brandi Disterheft, and Laila Biali, and has also found himself playing in other musical circles with artists like Charlie Hunter, Hawksley Workman, and the Pocket Dwellers. He’s also an active film composer. In addition to working as a musician, Griffith also produces and engineers recordings for the non- profit record label G-B Records, which he founded in 2015. The Lion, Camel, and Child, will be the 5th release on that imprint.